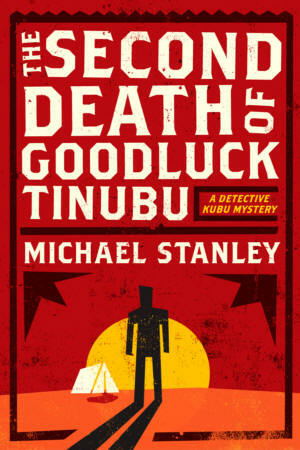 In this second detective Kubu mystery, Michael Stanley’s memorable, large detective faces another challenging case that mixes murder and smuggling in politically-charged northern Botswana. When a guest is founded murdered at a tourist camp on the lovely Linyanti River, Detective Kubu is sent in to help the local police stage an investigation. The victim is quickly identified as Goodluck Tinubu, a gentle Zimbabwean schoolteacher—yet from there the case soon grows out of control. A second corpse is found at the camp and a third guest who fled the camp beyond the Bostwana border without a trace. Odder still, it turns out that Goodluck Tinubu’s record states that he died years ago in the Rhodesian bush war. Facing a mounting body count, continued attacks on the camp, and growing tension between the Bostwana and Zimbabwe police, Kubu decides to follow Goodluck’s path back to the Rhodesian war—where he may uncover the key to a complex network of murder, theft, and political intrigue.